Pride goalkeeper Aubrey Bledsoe nearly scored a game-tying goal in a wild sequence in the final minutes of stoppage time but the Chicago Red Stars hung on to a 1-0 win at Orlando City Stadium. Alex Morgan made her return to Orlando, but the Red Stars spoiled the 5,476 person party on a rainy night in Orlando, Florida. With Orlando trailing 1-0 in the 92nd minute, the Pride sent Bledsoe into the box on a corner kick. 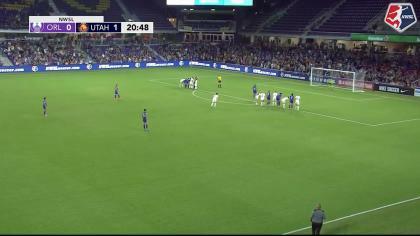 Camila’s corner went to Bledsoe, wide open at the far post. The goalkeeper headed it with her forehead, down and towards the far post. It bounced past Red Stars keeper Alyssa Naeher, but midfielder Danielle Colaprico, guarding the post, bent down and headed it off the line. Colaprico’s clearance eventually fell to Pride captain Ali Krieger near the top of the box, but her shot was denied by the crossbar. It’s the second time this year that Colaprico has made a header save off the line. Her effort in Week 7 vs. the North Carolina Courage was named NWSL Save of the Week. After a slow first half for the Red Stars that saw the Pride dominate possession, Chicago took control in the second half. Red Stars forward Christen Press converted a penalty in the 68th minute, for her fifth goal of the season, after Pride defender Toni Pressley fouled Red Stars defender Casey Short in the box. Short subbed into the match in the 66th minute and earned the penalty just one minute later. Morgan made her 2017 debut in the 65th minute. The Pride forward had been recovering from a strained hamstring she suffered while playing with Olympique Lyonnais earlier this year. She was officially added to the Pride roster for this season on June 21, but missed the last two Pride games because of her hamstring. It was the first time that Morgan and Marta were on the field in the same professional jersey since the 2011 Women’s Professional Soccer title game, when they won a league championship in Morgan’s pro rookie season. It didn’t take long for the two to connect on a dangerous play as a long cross into the box from Marta hit the head of Morgan in the 75th minute. Morgan’s shot was a bit too high and Naeher jumped up to catch it, but Pride midfielder Alanna Kennedy also went for the ball. Kennedy collided with Naeher on the challenge and her header went over the bar, but Kennedy was called for a foul on the play. The Pride fell to 4-5-3 (15 points) with the loss. The Red stars improved to 7-3-2 with 23 points, just one shy of first-place North Carolina. Attempt missed. Toni Pressley (Orlando Pride) left footed shot from outside the box misses to the left. Ali Krieger (Orlando Pride) hits the bar with a left footed shot from the centre of the box following a corner. Attempt blocked. Aubrey Bledsoe (Orlando Pride) header from very close range is blocked. Substitution, Chicago Red Stars. Arin Gilliland replaces Alyssa Mautz. Attempt saved. Camila (Orlando Pride) right footed shot from outside the box is saved in the bottom right corner. Assisted by Alanna Kennedy. Offside, Chicago Red Stars. Katie Naughton tries a through ball, but Alyssa Mautz is caught offside. Attempt missed. Sofia Huerta (Chicago Red Stars) right footed shot from outside the box is too high. Assisted by Vanessa Di Bernardo. Attempt missed. Sofia Huerta (Chicago Red Stars) header from the centre of the box misses to the right. Assisted by Alyssa Mautz with a cross. Substitution, Orlando Pride. Chioma Ubogagu replaces Jasmyne Spencer. Attempt saved. 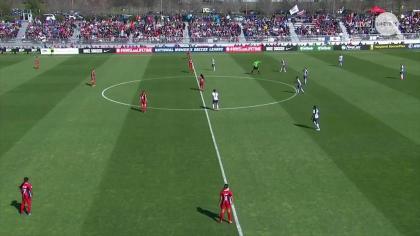 Sofia Huerta (Chicago Red Stars) left footed shot from the left side of the box is saved in the top left corner. Assisted by Vanessa Di Bernardo. Attempt blocked. Alex Morgan (Orlando Pride) header from the right side of the box is blocked. Assisted by Marta. Attempt missed. Camila (Orlando Pride) right footed shot from outside the box misses to the left. Attempt saved. Vanessa Di Bernardo (Chicago Red Stars) left footed shot from outside the box is saved in the centre of the goal. Assisted by Danielle Colaprico. Goal! Orlando Pride 0, Chicago Red Stars 1. Christen Press (Chicago Red Stars) converts the penalty with a right footed shot to the bottom left corner. Penalty Chicago Red Stars. Casey Short draws a foul in the penalty area. Jasmyne Spencer (Orlando Pride) hits the bar with a left footed shot from outside the box. Substitution, Chicago Red Stars. Casey Short replaces Sarah Gorden. Attempt saved. Camila (Orlando Pride) right footed shot from outside the box is saved in the centre of the goal. Assisted by Alex Morgan. Substitution, Orlando Pride. Alex Morgan replaces Rachel Hill. Attempt saved. Christen Press (Chicago Red Stars) right footed shot from outside the box is saved in the centre of the goal. Attempt saved. 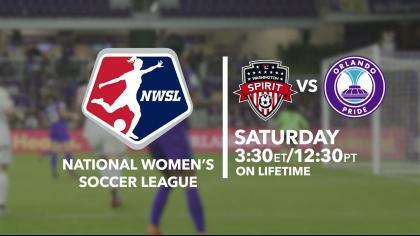 Toni Pressley (Orlando Pride) left footed shot from outside the box is saved in the centre of the goal. Corner, Orlando Pride. Conceded by Sofia Huerta. Attempt blocked. Marta (Orlando Pride) left footed shot from outside the box is blocked. Attempt missed. Camila (Orlando Pride) left footed shot from outside the box misses to the right following a corner. Substitution, Orlando Pride. Camila replaces Maddy Evans. Attempt missed. Christen Press (Chicago Red Stars) right footed shot from the centre of the box misses to the left following a set piece situation. Ali Krieger (Orlando Pride) is shown the yellow card. Sarah Gorden (Chicago Red Stars) wins a free kick in the attacking half. Attempt missed. Danielle Colaprico (Chicago Red Stars) left footed shot from outside the box is close, but misses to the right. Assisted by Julie Ertz. Attempt missed. Christen Press (Chicago Red Stars) left footed shot from the centre of the box misses to the left. Assisted by Sofia Huerta. Second Half begins Orlando Pride 0, Chicago Red Stars 0. First Half ends, Orlando Pride 0, Chicago Red Stars 0. Attempt missed. Christen Press (Chicago Red Stars) right footed shot from the right side of the box is close, but misses the top right corner. Assisted by Sofia Huerta. Hand ball by Mônica (Orlando Pride). Attempt blocked. Jasmyne Spencer (Orlando Pride) left footed shot from the right side of the box is blocked. Assisted by Ali Krieger. Attempt missed. Christen Press (Chicago Red Stars) right footed shot from outside the box is just a bit too high. Assisted by Sarah Gorden. Attempt missed. Marta (Orlando Pride) left footed shot from outside the box misses to the left. Assisted by Mônica. Attempt missed. Rachel Hill (Orlando Pride) header from the centre of the box is too high. Assisted by Maddy Evans. Attempt missed. Kristen Edmonds (Orlando Pride) right footed shot from outside the box misses to the right following a corner. Attempt missed. Maddy Evans (Orlando Pride) header from the right side of the six yard box is close, but misses to the right following a corner. Attempt saved. Marta (Orlando Pride) left footed shot from outside the box is saved in the bottom left corner. Assisted by Maddy Evans. Offside, Chicago Red Stars. Danielle Colaprico tries a through ball, but Vanessa Di Bernardo is caught offside. Attempt saved. Christen Press (Chicago Red Stars) left footed shot from outside the box is saved in the top left corner. Assisted by Vanessa Di Bernardo. Offside, Chicago Red Stars. Danielle Colaprico tries a through ball, but Sofia Huerta is caught offside. Attempt missed. Rachel Hill (Orlando Pride) right footed shot from outside the box is high and wide to the right. Assisted by Maddy Evans. Attempt missed. Sofia Huerta (Chicago Red Stars) right footed shot from outside the box misses to the right. Attempt saved. Christen Press (Chicago Red Stars) right footed shot from the left side of the box is saved in the centre of the goal. Assisted by Danielle Colaprico. Attempt blocked. Rachel Hill (Orlando Pride) left footed shot from outside the box is blocked. Assisted by Maddy Evans. Attempt missed. Christen Press (Chicago Red Stars) header from the centre of the box is high and wide to the right. Assisted by Alyssa Mautz with a cross.